The challenge this week is “Focus on the Details…”. 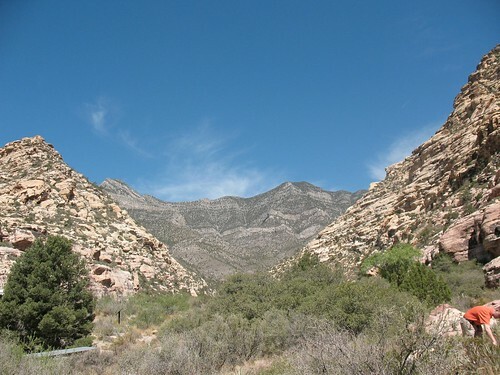 Tammie Jean, author of the blog, “Long Drive to Nowhere” has challenged us to pay attention to what’s around us, details we may miss through not paying attention. …with this topic … we can reveal those things that hide in plain sight. They can be large or small or tiny, exotic or everyday: the shape of a particular mountain ridge, a wallpaper pattern, a fine bit of wood carving, the veins in an insect’s wing, or a thousand other examples. 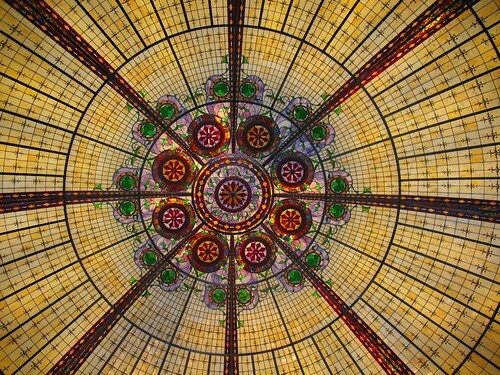 This was part of the ceiling walking from Paris Las Vegas to the hotel/casino next door…I had to lay down on the floor to get the shot! This was the ceiling of one of the hotels at the check in area…all lovely glass flowers! Don’t they look like colorful jellyfish? This image is a PERFECT example of WHY you should pay attention to your shots…damn tour guide! 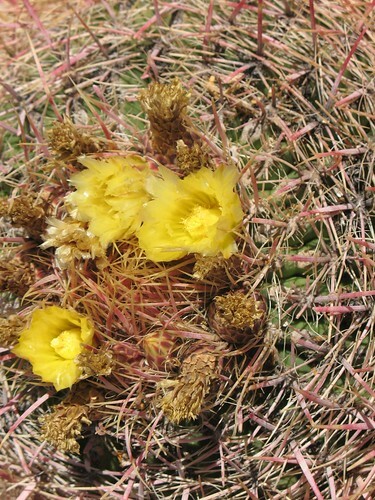 Sometimes you have to look beyond the prickly parts of life to see the beauty. It helps to have an imagination. 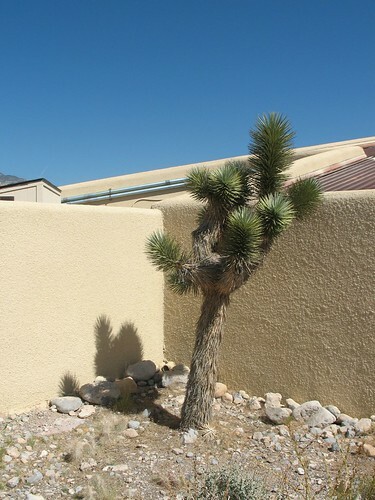 You might see a tree…I see a pointy rabbit shadow! You know the old saying you can get blood out of a rock? 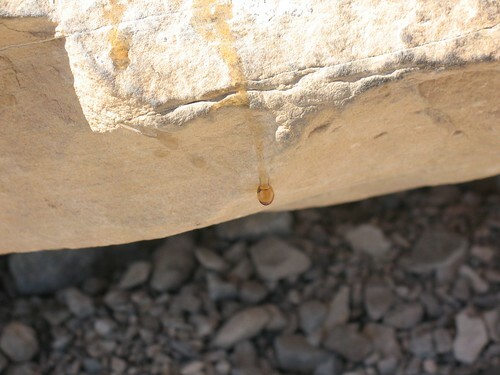 Well, apparently in Vegas you can get SAP out of a rock…it was 117 the day I took this picture! 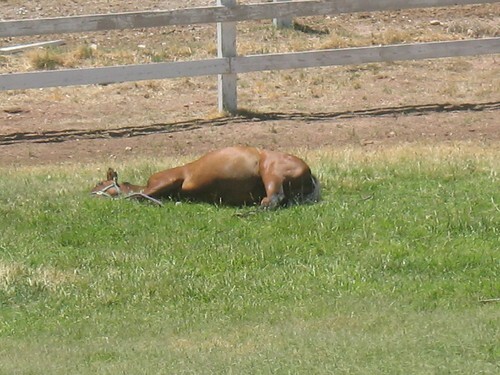 There was a herd of horses…and one pregnant mare…in that horrid heat! Can you tell what I’m impatiently waiting for! I pre-ordered it thru Amazon today…!!! You know I love that top shot and the one of the bird. 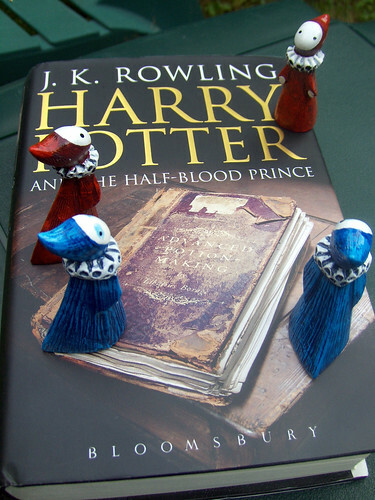 The HP book looks interesting…tick tock. What beautiful shots! Those glass “jellyfish” have got to be a Dale Chihuly installation. Lucky you to have been there for that! I love his work. Very nice pictures but I had to laugh about the picture with your guide in the corner ! That really is a great detail ! Love, love, love the glass flowers! I am so glad you played along with us for this challenge. I really enjoyed your photos, especially the glass flowers. So beautiful. 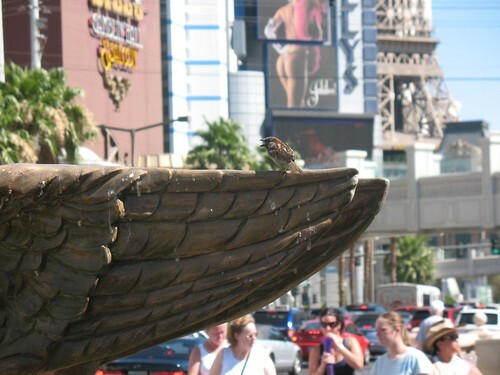 I would love to see Las Vegas one day, usually when we go to Nevada it’s Reno… I am ready for a change. Good work sweetie! That second shot is stunning – a real standout! Great photos from your trip! 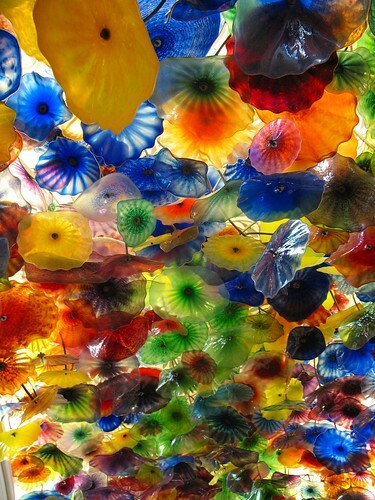 But my absolute favorite is the colorful glass flower ceiling – that is simply gorgeous!! wonderful entry on details…loved the glass ceiling! I like the photo and your comment! Also please pick a name for each photo! I guess this wasn’t up yetwhen I last made the rounds for this Challenge. I love the glass flowers, the sparrow on the wing, and the prickly bunny!